"The Selection" is a beautifully written novel. For anyone who likes romance books "The Selection" is a great book to read. This book is completely unpredictable and contains a cliffhanger. "The Selection" is the first book in a five book series and the books will make much more sense if you read them in order. The main character and some parts of the story is relatable to the reader. This is one of the best books I have read this year. 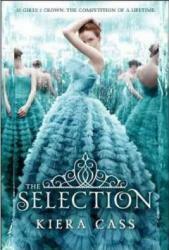 If you have not yet read "The Selection" please do!